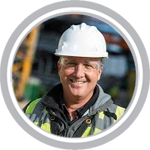 The OSHA Outreach 30hr online training course is the primary method for instructing construction workers in the basics of occupational safety and health and preparing them for the hazards of accidents and injuries on the jobsite that can be preventable. The OSHA Outreach 30hr training course is specifically devised for safety directors, foremen, and field supervisors; the program provides complete information on OSHA standards as required by OSHA regulations 29 CFR 1926 (Construction). Many public and private contractors, project owners, and government agencies throughout the U.S. require workers to have completed an OSHA-Accepted Outreach construction training course to become eligible to work on the construction site. So increase your employment chances and get your OSHA Construction DOL Card today! Upon successful completion of this course and exam, passing students will be shipped an OSHA/DOL Outreach plastic card within 2 weeks. The OSHA Outreach 30 Hour Training Course provides extensive instruction on OSHA regulations and requirements as they apply to 29 CFR 1926 (Construction). This course provides a comprehensive safety program specifically designed for safety directors, foremen, and field supervisors; the program provides complete information on OSHA compliance issues. Nevada (effective January 2010) – All supervisors on a construction site to undergo an OSHA 30-hour safety training course approved by OSHA at least once every 5 years. The training must be completed no more than 15 days of being hired. New York – NYC (effective July 2008) – New York City OSHA Laws also requires all site supervisors complete an OSHA Outreach 30 hour safety training course. Pennsylvania – City of Philadelphia (effective September 2015) – All contractors licensed under Section 9 – 1004 of the Philadelphia Code must employ at least one supervisory employee who has completed OSHA 30 safety training course. Upon enrollment in the OSHA 10-hour Construction Outreach Training course, you will have 6 months from the time you start to complete it – in order to receive credit. After 6 months, your account will expire and you will be required to purchase the course again. A free Hazard Communication Standard (HazCom) and Globally Harmonized System (GHS) of Chemical Classification and Labeling course is included with registration of any OSHA Outreach course. The revised Hazard Communication Standard (29 CFR 1910.1200) took effect May 25, 2012 and OSHA requires training regarding chemical hazards in the workplace. OSHA states employees throughout the U.S. needed to have completed GHS-HAZCom training by December 1, 2013 to be in compliance with new GHS standards. In this course, you will learn about the HazCom (Hazardous Communication) Standard and the new Globally Harmonized System (GHS), and how to use Safety Data Sheets (SDSs) and chemical labels to protect yourself from hazards or react to chemical exposures. The course also includes a free OSHA Construction Industry Study Guide! This PDF Study Guide will assist you to pass the final exam and receive your DOL wallet card. This guide is a great supplement to the OSHA Construction Industry Outreach Course and can help as a great quick reference guide for the future. You will also find supplementary materials available for download by clicking the “Materials” tab on the menu located within the course player. Other reference materials are available from the OSHA website – please visit http://www.osha.gov/dte/outreach/. The OSHA Outreach 30 hour Construction training course provides instruction on OSHA standards as required by 29 CFR 1926 (Construction). Key OSHA Outreach Terms: OSHA 30-hour Construction Course, OSHA 30 Hour Construction Training, OSHA 30hr Construction, OSHA 30hour Construction course, OSHA 30, OSHA 30hr Certification, Construction DOL Card, OSHA DOL Card, 29 CFR 1926.